You do not need to add students or teachers to a live course, as such information will come from Banner directly into Canvas through a syncing process that runs every few hours in a day. The Adams Center cannot add people to live courses either. You can, however, add a TA to your course. Please click here to find how. Adding or withdrawing a student from a class is initiated on the correct form from the Registrar’s Office (the forms page is here). Adding or withdrawing are actions initiated by the student so they sign the form and once all of the other relevant signatures are in place, the forms come to our office for processing. People who want to audit a class must complete a Course Audit Form and the instructor and department chair must sign in approval. Once those signatures are in place, that form also comes to our office and we process it. 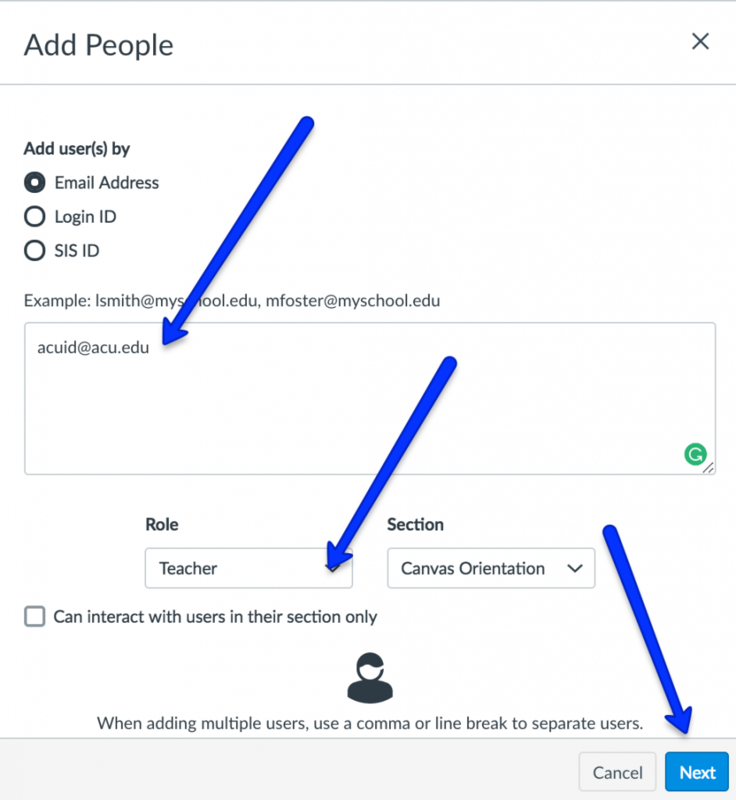 If you are running a course that does not have student enrollment, for instance, if it is a course that you or the Adams Center created for your department to share resources, you can add members from the “people” tab of your course. Check this page for additional Canvas resources.